Jurgen Klopp admits that he felt a sense of relief after watching his Borussia Dortmund side edge to a 1-0 victory against Hoffenheim. It was only Dortmund's fourth win in the league this season in 14 matches and it lifted them off the foot of the Bundesliga table. Klopp thought his side deserved the three points which came courtesy of Ilkay Gundogan's first-half goal. "It was a really intense game and the atmosphere was unique," said Klopp after his side's win. "I feel relief - the happiness will not come until later. "We must continue to work for more victories, so stay tuned. We still don't have a fantastic number of points, but the three in this match were the maximum. It was a good game and a deserved victory. But only one." Hoffenheim thought they should have had a penalty in the closing stages when Tarik Elyounoussi went down under Neven Subotic's challenge but the referee waved play on, with Klopp saying of the incident: "We have had enormous luck in the penalty situation." 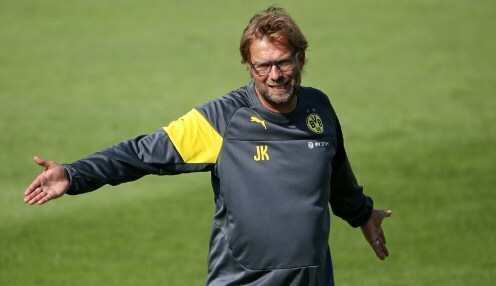 Borussia Dortmund are 1/1 to be relegated from the Bundesliga this season and 1/1 to finish in the top four. Don't forget, all Bundesliga matches are covered by the bet365 100% Euro Soccer Bonus, where you could earn a bonus of up to 100% on your returns on pre-match accumulator bets.